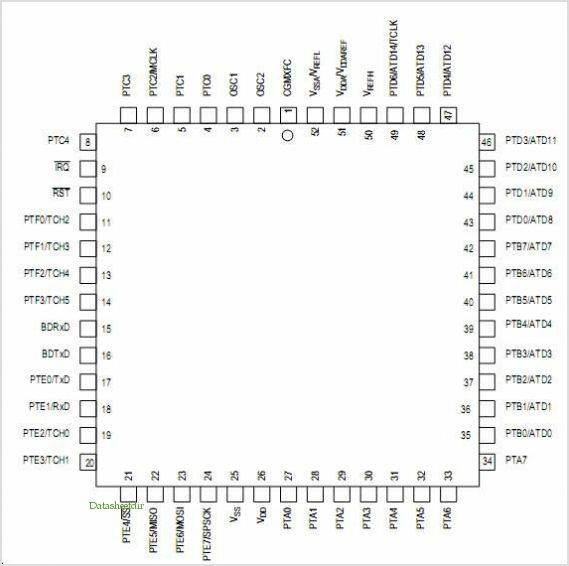 This is one package pinout of 68HC08AS32,If you need more pinouts please download 68HC08AS32's pdf datasheet. 68HC08AS32 circuits will be updated soon..., now you can download the pdf datasheet to check the circuits! FS9721-LP3, 4000 Counts Auto Range DMMIC.